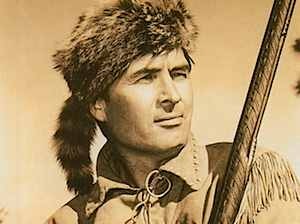 The iconic cap was made nationally popular through Disney’s Disneyland program the “Davy Crockett” show starring Fess Parker. 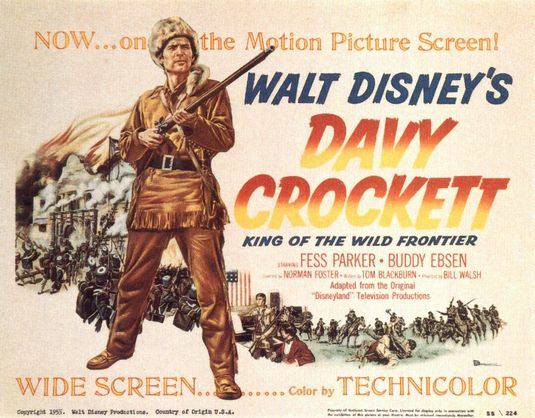 In the show the character, Davy, is associated with wearing the coonskin cap which created a craze among young boys in the United States as well as in the United Kingdom. The cap was eventually simplified from a whole racoon to a faux fur cap with just an attached racoon tail. 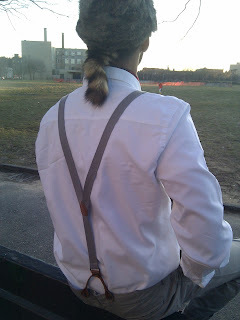 There was also a “Polly Crockett” variation for young girls which was an all white faux fur, or rabbit, cap with a long (white) tail like that of the boys. By the end of the 50s, the coonskin caps began to die out along with Davy Crockett's popularity. 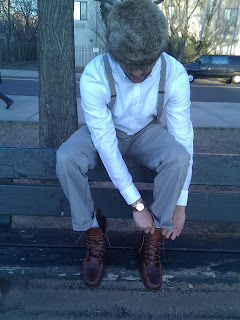 However, the coonskin caps made a resurgence as a cultural symbol during the 80’s Hip Hop Era. 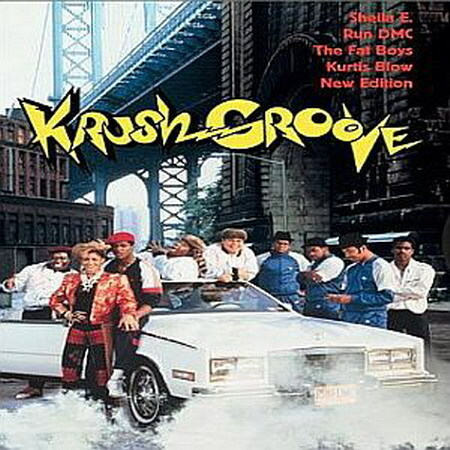 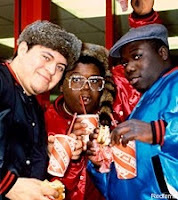 The caps could be seen worn by Hip Hop enthusiasts and different Rap artists who made it famous such as The Fat Boys, seen sporting them in countless music videos and in the 1985 film “Krush Groove.” Since then the caps had once again faded into the “abyss of lost fads” but it maybe once again time to bring it back! 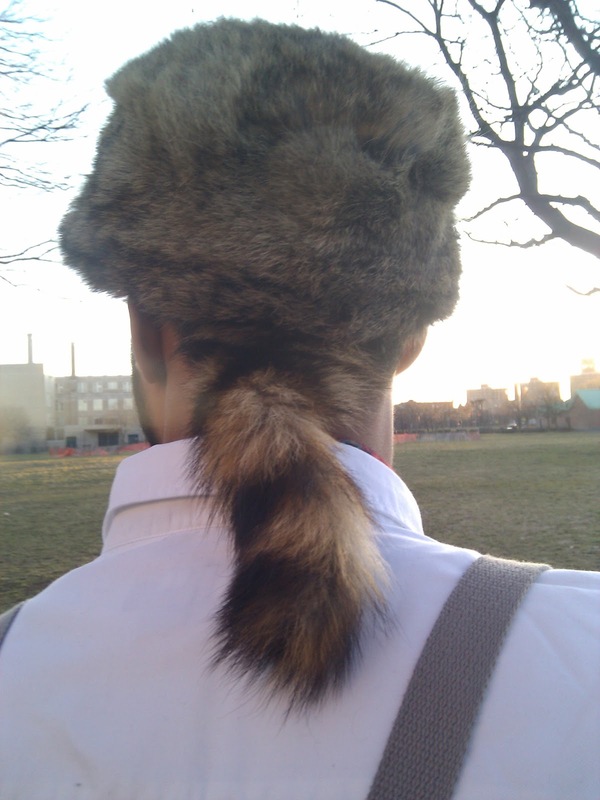 *If you have any questions or are interested in purchasing your very own Davy Crockett Raccoon Hat ($70.00) feel free to contact us so that we may process your order.